Degreed is growing fast. We’ve already built a brilliant, diverse team of 120 designers, developers, engineers, product managers and customer success professionals to support our clients. And we’re just getting started. Bringing Kelly onboard is another meaningful investment in making sure Degreed’s talented team stays sharp and ready for more. Equally important, Degreed is revolutionizing how enlightened employers build skills and fuel careers. Our customers – 100 of the world’s most sophisticated pioneering learning, talent and HR leaders (and counting) – want a partner who can provide more than a beautiful new technology. They’re also asking for guidance and support as they reengineer how they organize and operate their own teams. Kelly, a recognized innovator and thought leader, is uniquely qualified to advise and coach other L&D leaders as they design and execute novel digital learning strategies. So she’s also here to help Degreed’s clients, companies like MasterCard, Microsoft, EMC and Xerox (and our friends in the learning and HR community at large) build the capabilities they need to adapt to the demands of today’s hyperkinetic workforce. She’s not alone, though. Combined, Degreed’s highly skilled team has decades of experience building many of the leading brands in corporate learning, enterprise software and consumer education technology: Workday, Cornerstone OnDemand, SAP SuccessFactors, Microsoft, Skillsoft/SumTotal, Harvard Business Publishing, Bersin by Deloitte, IBM, MIT, Chegg, Pluralsight, Instructure and Lynda.com. 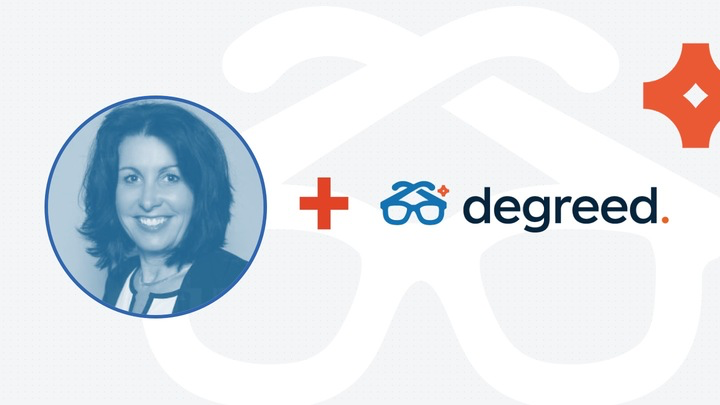 We’ve come together at Degreed to help you reinvent your learning experience. This is about more than just building an awesome new platform for developing and discovering workers’ skills. It’s about empowering people to enrich their lives, and enabling organizations to amplify their performance, by connecting all the world’s best education, training and lifelong learning resources. So all of those learning experiences can work better together for everyone. Don’t take our word for it, though. If you’re interested in learning more about how Kelly and Degreed can help make all kinds of learning matter for your organization and your people, check out these resources from CLO magazine, Bigthink and Forbes. Then connect with Kelly on LinkedIn, and follow her on Twitter. You can also track and follow everything Kelly is learning on Degreed.